Noah Zunde death: How can we stop this from happening? Noah was almost 2 when he died in a hot car. There's a plan to stop it happening again. The death of a Victorian baby left in a car has authorities calling for mandatory alerts built into baby seats to help stressed or sleep-deprived parents remember their child. 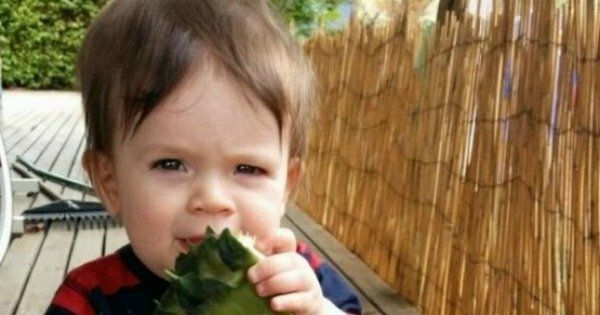 Noah Zunde was just 21 months old when he died from heatstroke after he was accidentally left in the family car by his mother Romy on February 19, 2015. Victoria’s Coroner Sara Hinchey on Wednesday recommended Standards Australia review whether hard-wired safety features would work after handing down her inquest findings into Noah’s death. She also recommended a public awareness campaign to educate parents and carers of the circumstances in which a child can be inadvertently left in a car. The inquest was told the family routine changed in the days leading up to Noah’s death and Ms Zunde became further stressed when she and her daughter Aniko became ill.
On the day of Noah’s death, Ms Zunde was “totally exhausted” and her routine was further disrupted by having to take her partner and Noah’s father, Andrew Krespanis, to the train station. After dropping off Aniko at school, Ms Zunde put Noah back in his rear-facing car seat and put his lunch box on his lap as he had recently become attached to it. The lunch box would usually sit on the front passenger seat. Instead of dropping Noah at child care, Ms Zunde went home and did chores, eventually going to the toddler’s child care that afternoon to pick him up. It was then the horrible discovery was made and authorities were called. Monash University Associate Professor and memory expert Matthew Mundy was the only witness called to give evidence at the inquest. He said recent changes to the child care routine, Ms Zunde’s sleep deprivation and external stress may have contributed to the mother not remembering Noah had not been taken to day care. “Prof Mundy’s evidence is clear that when a person’s short term memory is compromised, it is possible that the tragic events involving Noah’s death could happen to anyone,” Judge Hinchey wrote in her findings. In the past 10 years, five Victorian children have died from being left in hot cars. Victoria Police have never charged anyone over Noah’s death and Judge Hinchey said she would not be recommending charges.